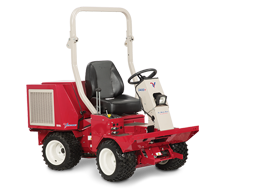 The Ventrac ET200 makes quick work of any clean up job. 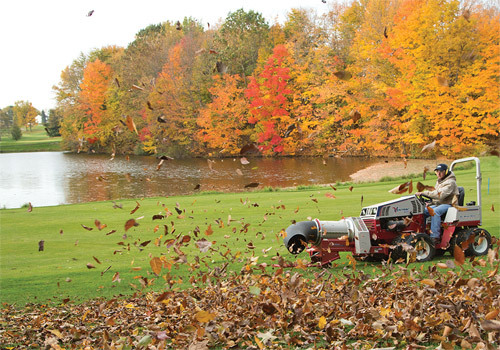 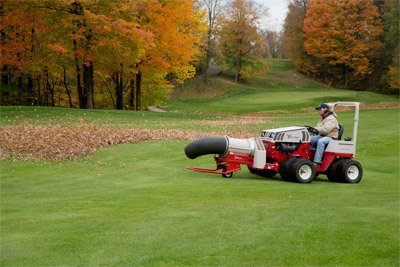 The Turbine Style Blower is designed to blow large volumes of air, and is much quieter than a conventional leaf blower. 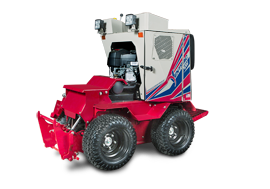 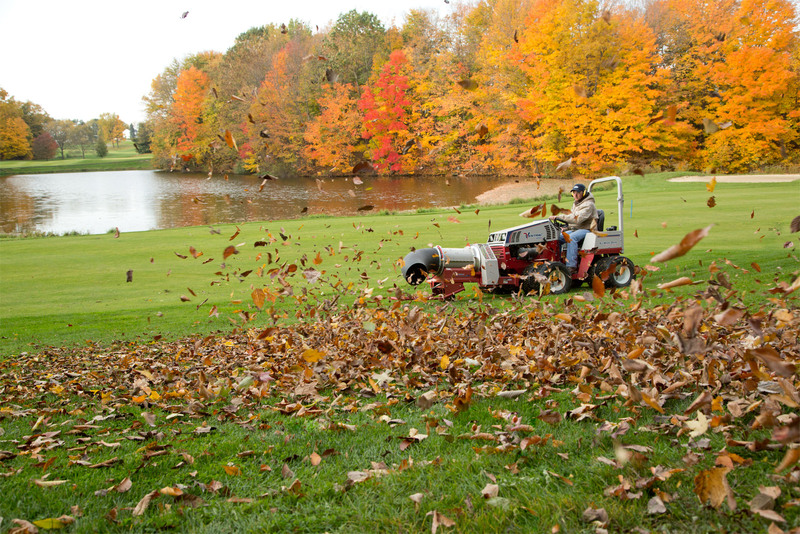 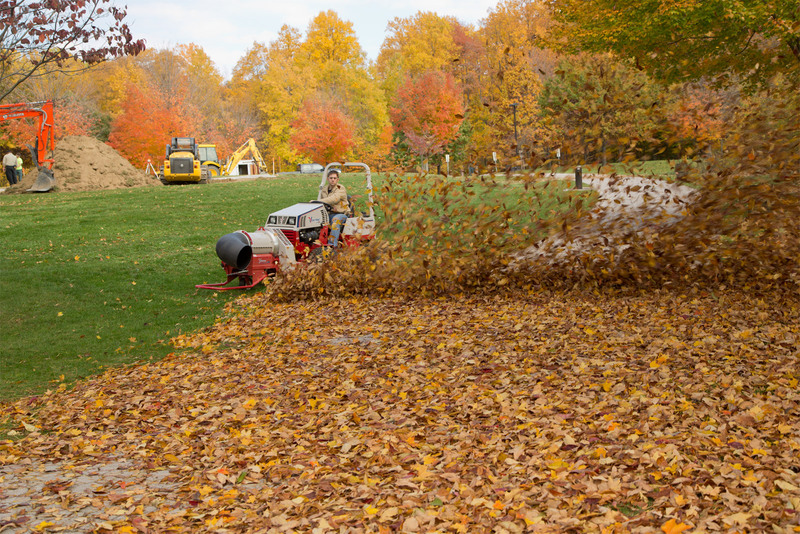 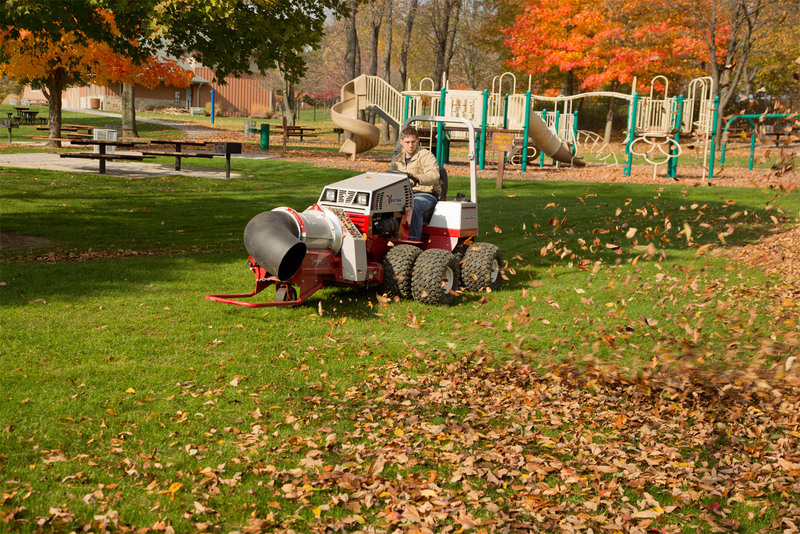 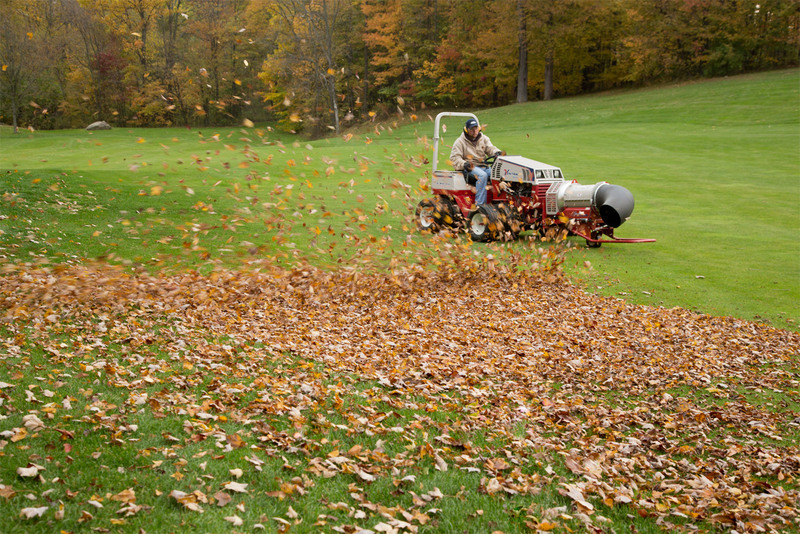 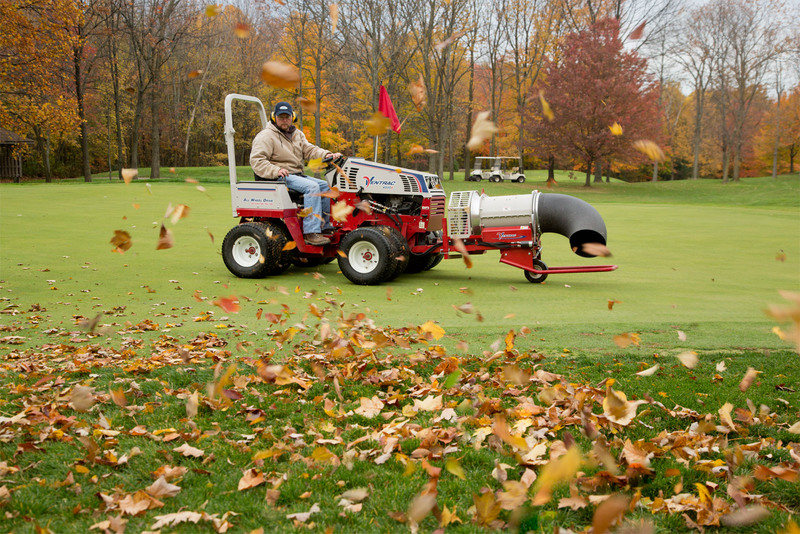 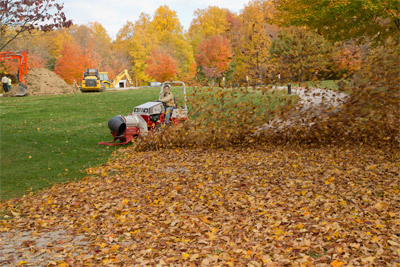 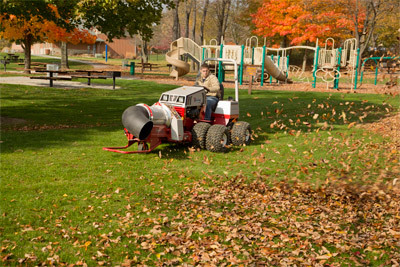 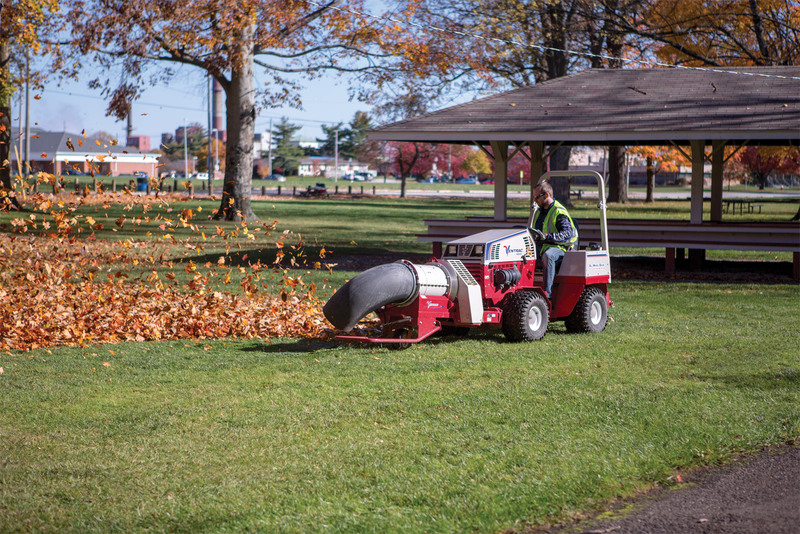 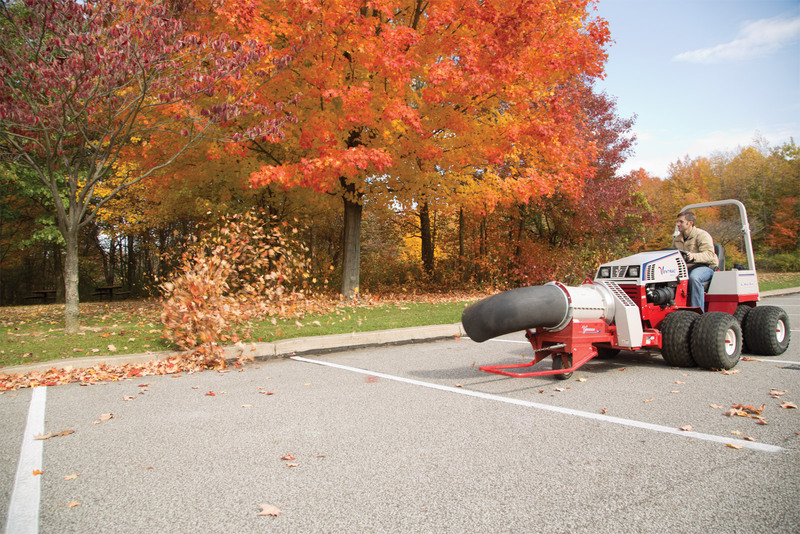 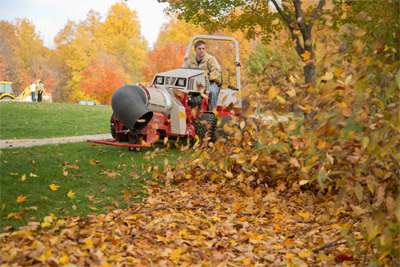 The ET200 can be used to blow leaves, light snow, and remove debris from sidewalks, parking lots and other areas. 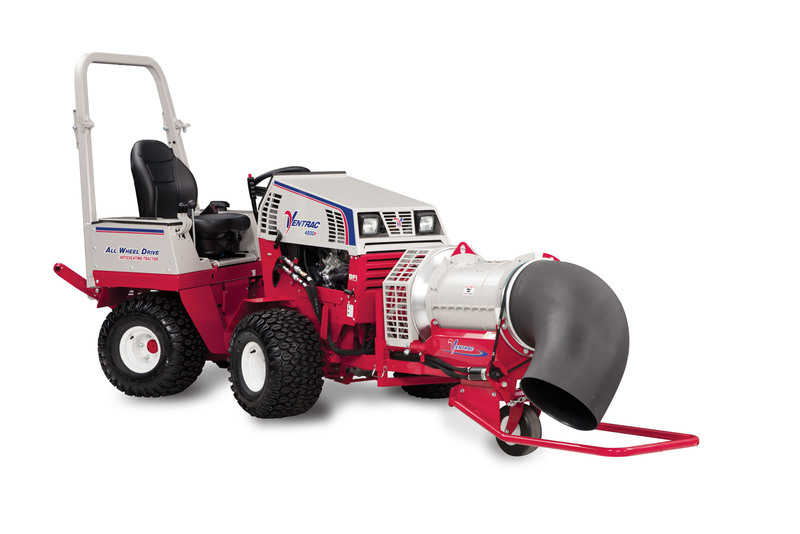 The ET200 Turbine Style Blower's powerful front discharge nozzle can be hydraulically rotated 360 degrees from the comfort of the operator's seat. 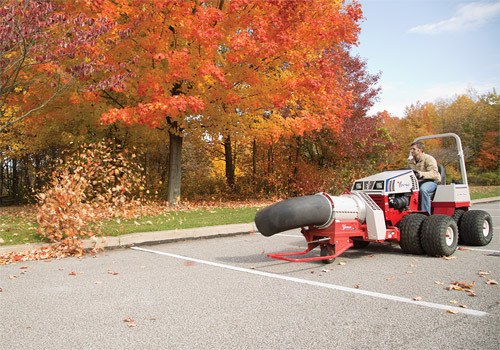 The front bumper protects the nozzle from damage. 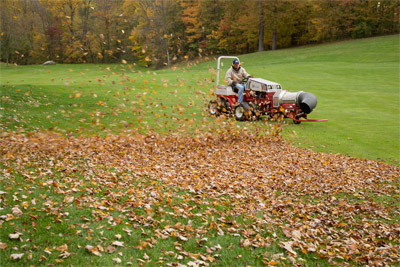 Power and control allow you to move through your clean up work simply, quietly, and efficiently. 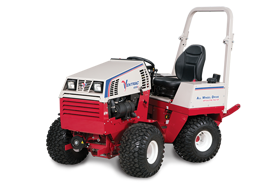 The Ventrac Mount System allows you to get attached quickly, and move on to the next job. 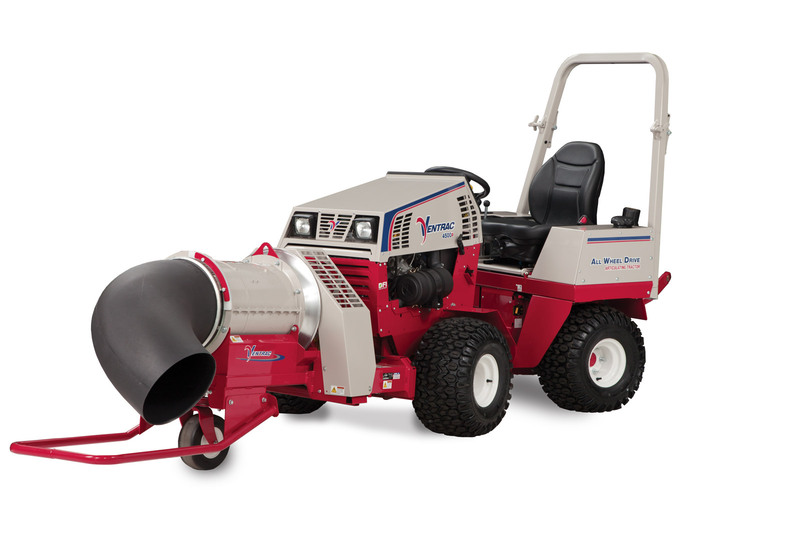 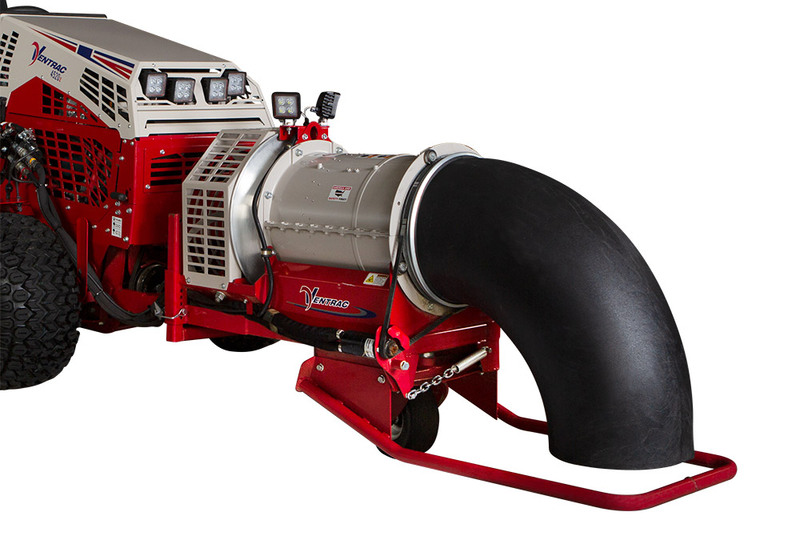 Enlarge Picture / Press Link · Ventrac 4500P with ET200 Blower - 4500P with Turbine Blower featuring a 12 inch opening with wind speeds of up to 175 miles per hour! 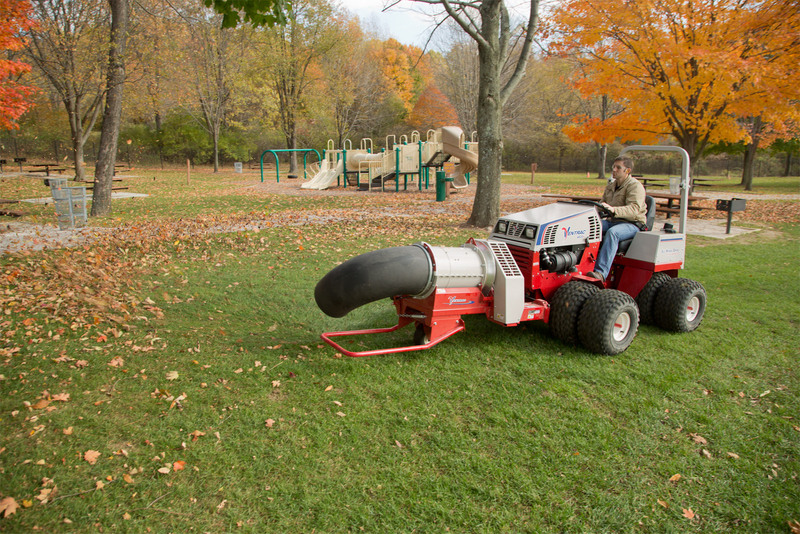 Enlarge Picture / Press Link · Closeup of Turbine Blower - Helps clear away more than just leaves. 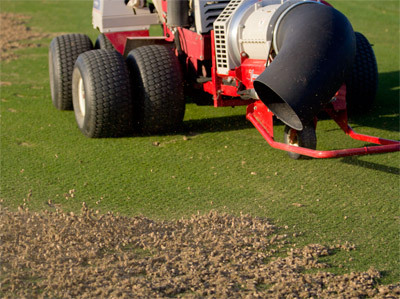 The Turbine Blower clears mulch, dirt, gravel, and other debris. 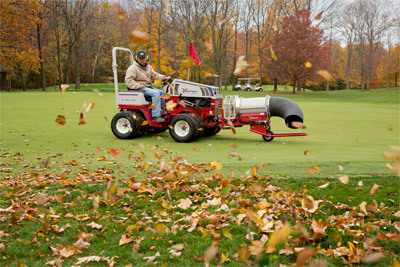 Enlarge Picture / Press Link · Ventrac 4500 using the Turbine Blower - Adjustable direction and rotation allows the Turbine Blower to clear debris faster and over various distances for more controlled collection and removal.